Turmeric is known as the magic spice. Beside its nutritional benefits, turmeric can be used as a part of your skincare beauty routine to give you bright glowing skin! 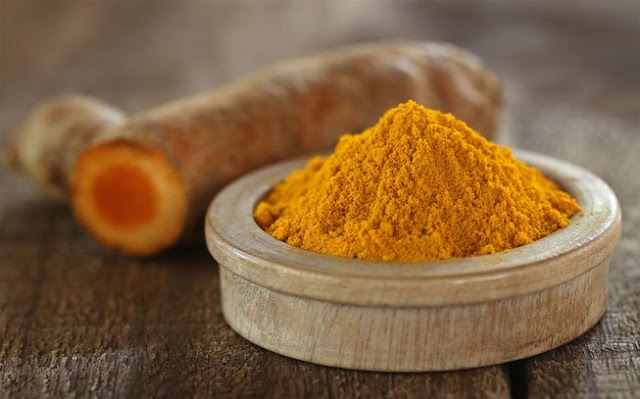 Turmeric has antioxidant, anti-septic, anti-aging, anti-inflammatory and antibacterial properties. It also reduces the visibility of acne scars. In addition the mask contains honey, which hydrates, nourishes and lubricates the skin. Honey also contains antibacterial and antiseptic properties and helps even out the skin. Moreover, milk softens the skin and nourishes it with vitamins and minerals. Finally, the amazing coconut oil smoothens, softens and lubricates your skin cells and helps to break down the dead cells (check the benefits and uses of coconut oil). 1. Put all the ingredients in a small mixing bowl, then mix till you get a firm paste that will stick to your face. 2. Wash your face with running water. Apply some rose water on your face with a cotton pad that will help the mixture to be absorbed into your skin. (Check theamazing benefits of Rose Water). 3. Apply the mask and wait for 20 minutes. 4. Wash your face with cold water. Note: Make sure to wear a dark t-shirt or a t-shirt that you are not too attached to, in case it gets stained!